Focus EduVation, sister company of Focus EduSolutions, and the industry leader in the design and development of custom content for online programs offered by colleges and universities has been awarded the APEX 2018 Grand Award of Excellence in the Electronic Media for the Best Use of Learning Design for a Blended Learning Training Program. The company also earned an Award of Excellence for its What If Campaign. For its APEX 2018 Grand Award of Excellence, Focus EduVation was recognized for developing a blended learning program designed to better prepare healthcare professionals for certification examinations by ensuring they are workforce ready upon completion of the training. The program, designed by Focus EduVation, includes both in-class and online elements. The What If Campaign is a brief, thought-provoking animated video designed to foster acceptance and collaboration. 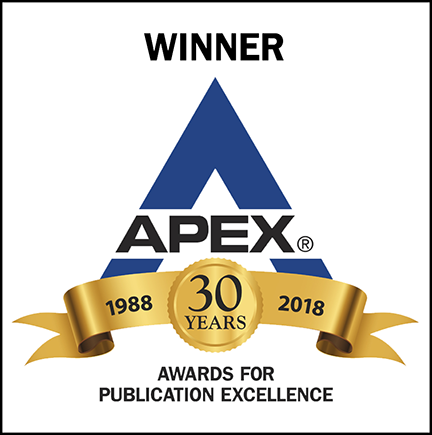 APEX 2018 — the 30th Annual Awards for Publication Excellence — is an international competition that recognizes outstanding publications from newsletters and magazines to annual reports, brochures and websites. The APEX Awards for Publication Excellence is an annual competition for publishers, editors, writers and designers who create print, Web, electronic and social media. Communications Concepts, Inc. sponsors the APEX Awards, and advises professionals who write, edit and manage business communications, on best strategies and practices. Concepts publishes business communication reports, including Writer’s Web Watch, an e-report for professional communicators, and special reports on topics such as corporate writing and Web publishing. In the 30th Annual APEX Awards, awards were offered in 100 individual categories, within 12 main categories including: newsletters; magazines, journals and tabloids; annual reports; print media; electronic media; social media; apps; websites; campaigns, programs and plans; writing; design and illustration; and one-of-a-kind publications. Focus EduVation, Inc. is an e-learning company and has been in operation since 2009. Over the past several years, and after having built over 595,000 hours of online content, Focus EduVation continues to harness emerging designing tools along with a team of superior content creators to enable a new era of teaching and learning. From building personalized learning experiences and leveraging game-based learning, Focus EduVation is bringing value-addition to the online content used in various programs. The customized content built is supported with extensive analytics that enables better student engagement leading to a higher level of student retention.